A resolution on access to medicines proposed by a number of developing countries was adopted today by the United Nations Human Rights Council, as well as a resolution on enhancing capacity-building in public health. This marks yet another United Nations fora in which developing countries seek to raise the issue of access to medicines, particularly with regard to high prices. The 32nd session of the Human Rights Council took place from 13 June – 1 July. Brazil, China, Egypt, Haiti, India, Indonesia, Paraguay, Peru, Senegal, Sri Lanka, South Africa, Thailand, and Turkey presented a resolution on access to medicines in the context of the right of everyone to the enjoyment of the highest attainable standard of physical and mental health. The draft resolution said that “for millions of people throughout the world, the full and equal enjoyment of the right to the highest attainable standard of physical and mental health remains a distant goal,” and noted the UN High-Level Panel on Access to Medicines. The document which was adopted is a revision, following discussions during the week led by Brazil. In statements delivered today, although the three countries joined the consensus and said they support the overall aim of the resolution, the United Kingdom, Switzerland and the European Union voiced concerns about the language included in the draft resolution. Although supportive of the overall goal of the resolution, they pointed out that the text was unbalanced and did not recognise the complexity of the issue of access to medicines. The UK also said the second paragraph of the resolution which stresses “the responsibility of States to ensure access for all, without discrimination, to medicines, in particular essential medicines, that are affordable, safe, efficacious and of quality,” is unfounded in law. The report of the UN High-Level Panel on Access to Medicines is due to deliver its report “next month,” he said, and the resolution calls for a second panel addressing the same topic without waiting for the result of the High-Level Panel, the UK delegate said. 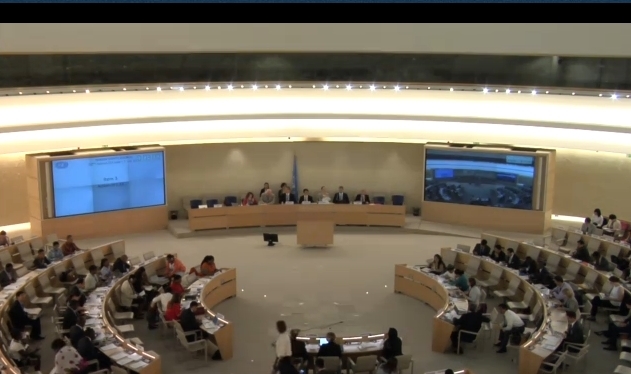 Discussions in the Human Rights Council on access to medicines duplicates the work of the WHA. Switzerland said it would have liked a more balanced resolution and noted that the High-Level Panel on Access to Medicines was not mandated by member states. Switzerland would have liked to see more transparency in the context of the establishment and the work of the panel, the Swiss delegate said. The resolution fails to strike a balance between the protection of intellectual property and patents as an incentive to innovation, and the use of TRIPS flexibilities, he said. The reference to price of medicines in the resolution is an inadequate simplification of the issue, he said. Patents and prices are not directly linked, he said, as prices result from a variety of factors, such as import taxes, national medicine supply systems, and the role of intermediaries. While preserving their patents, the innovators from pharmaceutical companies already contribute to solutions for low and medium-income population. Netherlands, for the EU, said the EU is a major contributor in health-related aid but said that the assumption that the right of inventors is the main impediment to innovation and access to health overlooks a key finding of a joint WHO-WTO-WIPO trilateral study. That study said that the lack of access to medicine and medical technology is rarely due to one single determinant, he said, citing other factors which could ease the issue, such as health systems strengthening, increased capacity for local production and for the detection of falsified medicines, and regulatory authority capacity building. The Human Rights Council lacks the necessary expertise and competence to address the issue in a holistic way, in all its complexity, the Netherlands delegate said. The issue of access to medicines has already been addressed by the Council in a specific past resolution, he said. He also underlined the risk of duplication of work on the issue, given the ongoing work of the High-Level Panel, and work carried out in other fora. A resolution submitted by Algeria, Bangladesh, Belarus, Bolivia, Brazil, China, Cuba, Egypt, Haiti, Iran, Morocco, Pakistan, Paraguay, Peru, Qatar, Russia, Saudi Arabia, Singapore, South Africa, Thailand, Tunisia, Turkey, United Arab Emirates, Venezuela, and Zambia on “Promoting the right of everyone to the enjoyment of the highest attainable standard of physical and mental health through enhancing capacity-building in public health” was also adopted today without vote. "Access To Medicines Resolution Adopted By UN Human Rights Council" by Intellectual Property Watch is licensed under a Creative Commons Attribution-NonCommercial-ShareAlike 4.0 International License.